Palestinian Authority Chairman Abbas' office promises to foil 'subversive' US 'plot' to limit UNRWA activities. Palestinian Authority (PA) Chairman Mahmoud Abbas' office claimed that White House Adviser Jared Kushner's reported efforts to limit UNRWA activities are "a continuation of the subversive plots to eliminate the Palestinian problem." A statement from Abbas' office emphasized the need to "oppose" and "foil" the US plan. It is believed that US President Donald Trump's proposed peace plan will remove the question of PA "refugees" from the negotiating table. 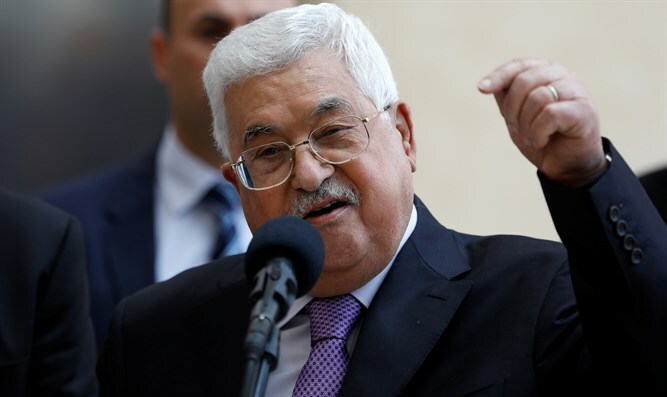 The peace plan, the contents of which have not yet been revealed, was by the PA as "aiming to eliminate the Palestinian problem and negate all of the Palestinian nation's legitimate rights." Abbas' office emphasized that the "Palestinian nation" is capable of foiling all similar "plots." It also said that the issue of PA "refugees" needs to be one of the topics discussed in negotiations, and reiterated the fact that the PA will not compromise on its demand for control over Jerusalem's Arab neighborhoods. Negotiations must bring "a just and agreed upon solution in accordance with legitimate international decisions and the Arab peace initiative, which has become part of the international legitimacy and is supported by the international community." On Friday, a report from Foreign Policy stated that Kushner had communicated with other officials in the Trump administration, saying that UNRWA is the central problem in correctly defining the refugees, and its activities should be limited. The report quoted a January 11 email which stated that, "It is important to have an honest and sincere effort to disrupt UNRWA. This [agency] perpetuates a status quo, is corrupt, inefficient and doesn’t help peace." The number of PA "refugees" cited by UNRWA includes those who have an additional nationality, those who still live in their homes, and descendants of refugees. The international definition of a refugee includes only those who were forced to flee their homes, and is limited to a single generation.